The Nordic partners of EIT Climate-KIC include world-leading industrial partners, top-performing universities, ambitious municipalities and regional council as well as small- and medium- sized enterprises (SMEs). Aalto University	Finland	Aalto University is a multidisciplinary community of bold thinkers, where science and art meet technology and business. They are committed to identifying and solving grand societal challenges and building an innovative future. Created with Sketch. Created with Sketch. Aarhus University	Denmark	Aarhus University is a top ten university among universities founded within the past 100 years. The university’s goal is to contribute towards solving the complex global challenges Created with Sketch. Created with Sketch. Chalmers University of Technology	Sweden	Chalmers University of Technology conducts research and offers education in technology, science, shipping and architecture with a sustainable future as its global vision. Chalmers is well-known for providing an effective environment for innovation and has 13 departments. Created with Sketch. Created with Sketch. City of Aarhus	Denmark	Renewable energy, food, health and productivity are all areas in which Aarhus excels, and with top 100 university right smack in the middle of things, highly qualified employees and the most up-to-date research are literally just around the corner. Created with Sketch. Created with Sketch. City of Copenhagen	Denmark	Copenhagen’s goal of becoming CO2 neutral by 2025 is clearly connected with a strong focus on growth, employment and quality of life. Copenhagen will particularly focus on the development of industrial clusters, i.e. existing commercial areas that have a competitive advantage. This will be done by strengthening dialogue with the business community, and by building partnerships with both commercial and knowledge institutions. Created with Sketch. Created with Sketch. CIty of Forum Virium - Helsinki	Finland	Forum Virium Helsinki is an innovation unit of the City of Helsinki. They make Helsinki the most functional smart city in the world in co-operation with companies, universities and citizens. Created with Sketch. Created with Sketch. City of Gothenburg	Sweden	The city of Gothenburg is the largest non-capital in the Nordics and located on the beautiful west coast of Sweden. It invests long-term and sustained efforts to create a more equal city. They will reduce differences in living conditions for increased cohesion, trust and participation. This is done in cooperation with business, government and civil society. Created with Sketch. Created with Sketch. City of Helsinki	Finland	Helsinki’s vision is to be the world’s most functional city. In pursuing this vision, it seeks to create the best conditions possible for urban life for its residents and for visitors. Functionality is based on equality, non-discrimination, strong social cohesion and open, inclusive ways of operating. Helsinki also takes its own responsibility for the prevention of climate change seriously and ambitiously. Created with Sketch. Created with Sketch. CIty of Helsinki - Uusimaa Region	Finland	The Helsinki-Uusimaa Region is one of the fastest growing areas in Europe. Its location on the Baltic Sea, its cultural climate and its green landscapes has made it a leading business area in Finland and a dynamic knowledge hub and innovation centre for new European business and politics. Created with Sketch. City of Malmö	Sweden	Within the framework of Malmö City's environmental work, they support, develop and coordinate many different types of environmental projects that will lead to sustainable Malmö and increased democratic influence. Malmö City is actively involved in many development projects with the aim of constantly addressing the value of sustainability issues. Created with Sketch. Created with Sketch. City of Reykjavik	Iceland	Reykjavik is a young, vibrant city inhabited by an educated, highly skilled population. The city is working towards better living standards for its community and a zero-carbon society. It is renowned for its approach towards sustainability, where 99% of all electricity in Iceland is generated from green, renewable energy. Created with Sketch. Created with Sketch. City of Stavanger	Norway	The Stavanger region is Norway's third largest city region. The city and the region offer a varied cultural life and beautiful natural experiences. Constantly looking for innovative ideas, they cooperate in order to exploit their potential. Through their sustainable decisions and actions, they provide future generations with opportunities for a richer life. Created with Sketch. Created with Sketch. 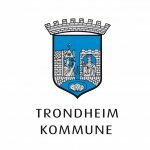 City of Trondheim	Norway	The City of Trondheim is known as the technological capital of Norway. Trondheim has a long tradition of environmental excellence and commitment. The Municipal Plan for Energy and Climate 2017-2030 aims for 80% reduction of greenhouse gas emissions by 2030 (1991 baseline). One of the main goals is to develop Trondheim into a smart and sustainable city where it is easy for the inhabitants to live environmentally friendly. Created with Sketch. Created with Sketch. Vejle Municipality	Denmark	The municipality of Vejle is, as its sixth largest municipality, a large organization with a total of approx. 9800 employees. Vejle Municipality is a municipality with a high level of activity and which has been characterized by growth for several years. Created with Sketch. Created with Sketch. Climate Leadership Coalition	Finland	The purpose of the Coalition is to affect the Finnish businesses’ and research organisations’ competitiveness and ability to respond to the threats posed by climate change and the scarcity of natural resources, as well as to improve their ability to utilise the business opportunities related to these. COWI	Denmark & Sweden	COWI is a leading consulting group that creates value for customers, people and society through our unique 360° approach. Based on our world-class competencies within engineering, economics and environmental science, they tackle challenges from many vantage points to create coherent solutions for our customer. Created with Sketch. Created with Sketch. 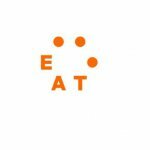 EAT foundation	Norway	EAT is a science-based global platform for food system transformation. Their vision is a fair and sustainable global food system for healthy people, animals and planet – leaving no one behind. Their mission is to transform our global food system through sound science, impatient disruption and novel partnerships. Created with Sketch. Created with Sketch. E.ON	Sweden	E.ON is an international, privately owned energy supplier. With a clear focus on three strong core businesses—Energy Networks, Customer Solutions, and Renewables—they aim to become the partner of choice for energy and customer solutions. Created with Sketch. Created with Sketch. 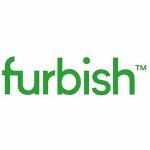 Furbish	Sweden	Furbish's multidisciplinary and international team of workplace specialists, designers, architects, and engineers is dedicated to commercial-use buildings for office work and education. The SSO by FurbishTM method strives for more sustainable offices and happier occupants through our holistic view of the workplace. 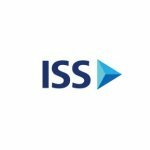 ISS - Institutional Shareholder Services	Sweden	Institutional Shareholder Services Inc. (ISS) is the world’s leading provider of corporate governance and responsible investment (RI) solutions for asset owners, asset managers, hedge funds, and asset service providers. ISS’ solutions include: objective governance research and recommendations; RI data, analytics, and research; end-to-end proxy voting and distribution solutions; turnkey securities class-action claims management. Created with Sketch. Created with Sketch. Johanneberg Science Park	Sweden	Johanneberg Science Park is the Sweden's leading collaborative arena for urban development. They co-generate innovations for a society that is good for people and the environment. They bring together academia, society and a variety of large and small companies. Together they run national and international innovation projects and test solutions for future challenges. Created with Sketch. Created with Sketch. Lund University	Sweden	Lund is the most popular study location in Sweden. The University offers one of the broadest ranges of programmes and courses in Scandinavia, based on cross-disciplinary and cutting-edge research. The University has a distinct international profile, with partner universities in over 70 countries. Created with Sketch. Created with Sketch. 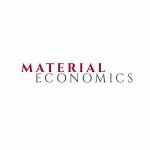 Material Economics	Sweden	Material Economics is a management consultancy firm specialized on strategic sustainability and resource strategy topics. They provide companies advice on how to grow their business in a changing market where sustainability constrains play an increasingly important role. On daily basis, They do the thought work needed to understand where trends are heading, how technology is developing and where policies are coming next. Created with Sketch. Created with Sketch. Norwegian University of Science and Technology	Norway	NTNU has a main profile in science and technology, a variety of programmes of professional study, and great academic breadth that also includes the humanities, social sciences, economics, medicine, health sciences, educational science, architecture, entrepreneurship, art disciplines and artistic activities. Created with Sketch. Created with Sketch. NTU international	Denmark	NTU is a leading international consulting firm providing programme management and advisory services for development projects worldwide. NTU has been working with cutting edge development projects both internationally and in the Northern Europe. The backbone of NTU is the constant thrive for sustainable development and innovation. Created with Sketch. Projektengagemang	Sweden	Projektengagemang is a consultancy group that operates in civil engineering and industry. With our knowledge and our integrated approach, we contribute to sustainable social development and our customers' increased value. Created with Sketch. Research Institute of Sweden	Sweden	The RISE institutes Innventia, SP, and Swedish ICT have merged in order to become a stronger research and innovation partner. Through their international collaboration programmes with academia, industry, and the public sector, we ensure the competitiveness of the Swedish business community on an international level and contribute to a sustainable society. Created with Sketch. Created with Sketch. Rockwool	Denmark	The ROCKWOOL Group is a focused industrial company with leading positions in insulation, acoustic ceilings and horticultural growing media based on proprietary stone wool technology. They offer carefully designed, innovative sustainable solutions for your comfort, safety and for the benefit of the environment. Their expertise is perfectly suited to tackle many of today’s biggest sustainability and development challenges. Created with Sketch. Created with Sketch. 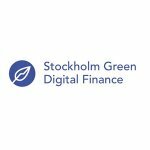 Stockholm Green Digital Finance	Sweden	Stockholm Green Digital Finance is a not-for-profit Centre tasked to accelerate Green Finance and Investment through Fintech Innovations Stockholm Green Digital Finance was launched at the G20 GreenInvest Meeting in Berlin in May 2017. The centre was set up to serve as an independent innovation platform and test bed to demonstrate creative solutions for scaling green finance and investment. Created with Sketch. Technical University of Denmark	Denmark	DTU is recognized internationally as a leading university in the areas of the technical and the natural sciences, renowned for their business-oriented approach, their focus on sustainability, and their amazing study environment Created with Sketch. Created with Sketch. Trivector	Sweden	Trivector consists of three subsidiaries – each specialising in a particular area. Trivector offers services within the areas of transport, IT-systems and business development. Created with Sketch. Created with Sketch. University of Copenhagen	Denmark	The University of Copenhagen is the largest educational institution in Denmark. Together, the six faculties offer over 200 programmes for study in health and medical sciences, humanities, law, science, social sciences, and theology. The University aims to prepare students for a broad range of jobs in the private and public sectors. Created with Sketch. Created with Sketch. University of Helsinki	Finland	The University of Helsinki seeks solutions for global challenges and creates new ways of thinking for the best of humanity. Through the power of science, the University has contributed to society, education and welfare since 1640. The University’s core duties are research, teaching and their support through community relations. Created with Sketch. Created with Sketch.